After my really disappointing day a few weeks ago with my filly I decided to read some books. Its something I do a lot. When I get stuck anywhere in life I find a book on the subject, often I find many books on the subject and read and absorb and read and absorb. It’s a habit I picked up as a very little girl which also is why I think I can learn and do anything but that’s a tale for another day. I bought Beyond The Track by Anna Ford. I couldn’t wait for it to get here cursing myself for not paying expedited shipping. When it did arrive I read it immediately, ignoring everything else. I was taking a horse break so I didn’t need to be at the barn, I just read and absorbed and thought about what I was reading and how it applied to me and my ex racer. My first thought was, wow I wish I had gotten this book before or right when my filly first arrived. Its helpful but it’s basic. It’s more about horses right off the track not horses that have been let down for months like mine was. I think if I had read it right off the bat I would have gotten much more out of it, being a couple months in I already trial and erred much of what the book talks about. 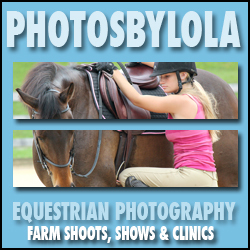 It’s a good fast read and the author has much experience with OTTBs since she is the driving force behind New Vocations Horse Rescue. 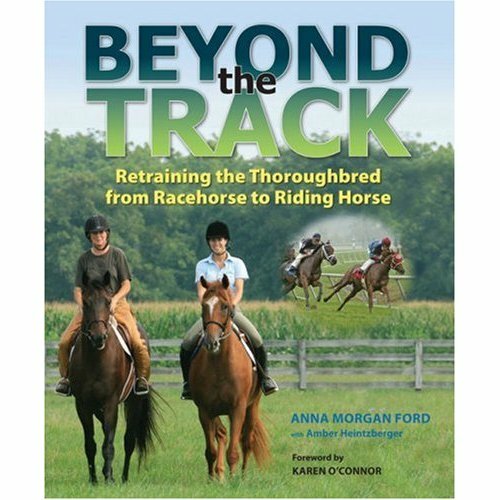 If your looking for a training program, ways to approach flat work, exercises you can try, ways to teach your OTTB to bend, this book doesn’t really give it to you, you will have to devise that yourself. If you’re looking for answers as to why your OTTB might be hard to handle on the ground, If you want to know how racehorses are trained at the track and get some insight into how your OTTB might think this book might have the answers your looking for. The author does a good job and is generous sharing her experiences with many OTTBs and some issues that are specific to horses off the track but its a good start but its not the bible of OTTB I was looking for. I’m not sure if the book I want exists I’ll just have to read them all to find out.